Gardendale is a northern suburb of Birmingham located in Jefferson County. The city has roughly 19,000 residents and has a median family income of some $60,000. Throughout the past 10 years, the city has primarily developed on its western side. Because Gardendale is a suburb of Birmingham, it is located in the Birmingham radio and television markets. The city is served by several small health centers; however, residents primarily use Birmingham for its large hospitals. Gardendale does boast its own full-time police and fire departments, and Regional Paramedic Services provides advanced life support ambulatory services. Gardendale has a relatively new city hall that opened in 2015. The city is also served by its own public schools: Gardendale Elementary, Bragg Middle School, and Gardendale High School. Gardendale First Baptist Church is among the top 10 largest churches based on membership in Alabama. The Alabama Transportation Director reports that the City of Gardendale in 2013 recorded 296 automobile accidents, which included three deaths and 100 injuries. Jefferson County, which houses Gardendale, witnessed 19,967 total accidents with 82 deaths and 4,364 injuries. These statistics represent the fact that Gardendale residents and visitors are definitely susceptible to the hardships caused by automobile accidents that will occur in the area. If you or a loved one are injured in an automobile accident, please seek medical attention and treatment as soon as possible after your accident. While getting medical treatment is primarily for your health and safety, it is also to ensure that adequate and complete medical records exist to document your injuries. Your attorney will need these records as they proceed with your automobile insurance claim and fight to secure the compensation to which you deserve. Without medical records, the insurance company will assume you were either not hurt or not hurt that badly and will use the lack of medical records against you. Once you have taken care of your medical needs, however, you should immediately call Hollis, Wright, Clay and Vail, P.C. and ask to speak with one of our attorneys so you can determine how to proceed. 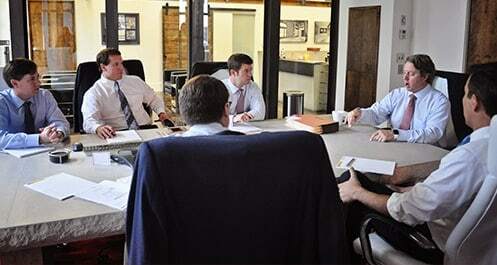 The attorneys at Hollis, Wright, Clay and Vail, P.C. are a short distance from the City of Gardendale and regularly handle personal injury and auto accident claims for residents in this area. Alabama State Law allows those injured in automobile accidents to receive compensation for injuries such as lost wages, medical bills, pain and suffering and emotional distress. An injured person can also receive compensation for any permanent impairment and disfigurement due to an accident. The attorneys at Hollis Wright are well versed in Alabama law and will dedicate substantial time, energy and finances to ensure you receive the compensation you and your family deserve. Boasting a combined experience of more than 100 years and serving clients for 15 years, the attorneys at Hollis Wright are some of the most accomplished and experienced attorneys in the state in pursuing injury claims involving motor vehicles. Their experience, combined with the care and concern they have for each client, is what sets them apart. If you’d like to speak with one of our attorneys, please call 844-529-8255 or locally at 205-324-3600.